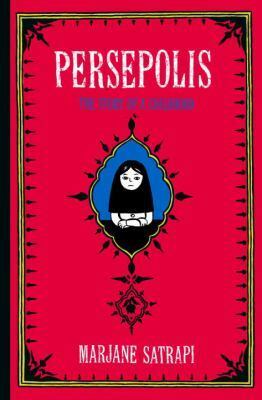 Far superior to the movie and second volume which followed it, this beautiful graphic memoir is a spare, sometimes stark remembrance of a girlhood in Iran under the Islamic Revolution. Satrapi’s monochrome, heavy black lines and large blocks of black tell a complex and compelling story with elegant simplicity. Satrapi’s girlhood is one of political dissent through a child’s eyes and small rebellions (a denim jacket with a Michael Jackson button, for example). The story consists of richly detailed segments and anecdotes that, taken together,create a fascinating and immersive larger narrative. She lightens tragedy with humor and presents herself and her family as multifaceted and sympathetic characters. Often used as required reading for middle and high school students this book can be found in almost every library collection and is excellent for book clubs. It makes a wonderful introduction to the graphic novels for new readers, particularly women who may not be familiar with the form and have concerns about its potential for depth and applicability to their lives.